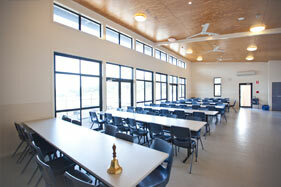 The air conditioned and heated Conference Centre is a large area catering for up to 180 guests. This area can be divided into two meeting areas when required. 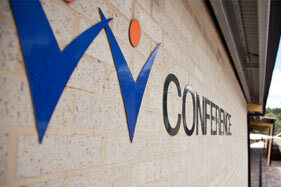 Both areas offer audio visual equipment needed to run a polished presentation. With views to the Yass River Valley guest’s comfort and enjoyment is ensured. With scenic valley views, the Village Dining Room has seating for up to 80 guests. We offer a wide range of wholesome home-style menus for our guests. From continental breakfasts to two course lunches and dinners you will find the food we provide healthy and delicious. Morning and afternoon teas and supper are also provided. Our catering manager has extensive experience with guests requiring special diets. Whether for medical, health or cultural reasons guests can be assured of being provided with suitable food. 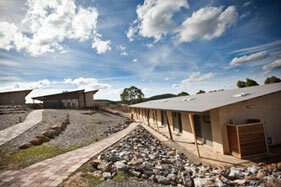 Three separate blocks provide air conditioned and heated ensuite accommodation in rooms for two or six guests. Two of these rooms are suitable for disabled guests. The Village can sleep a maximum of 116 people. Each block has a lounge with TV and DVD ideal for friends to enjoy time together. Two couches, a table and chairs are in each for small groups to meet together. Thank you so much, on behalf of the Hong Kong U16 hockey team, for a wonderful visit at Warrambui. 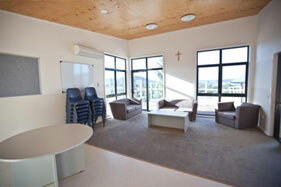 The accommodations were great, especially the exclusive use of the Lounge for team meetings and study periods. It was very useful to have the small kitchenette to feed our ever-hungry girls. Not that we were not well-fed. The food was fantastic and everyone especially enjoyed and eagerly awaited supper each evening.